ABSOLUTELY STUNNING! Top floor? Yes! Open concept? Yes! Private roof top deck? Yes! Vaulted ceilings, skylights, lots of windows, & bright? Yes! Renovations and new flooring throughout? Yes! 2 side by side parking spots & storage? Yes!This 3 bedroom, 2 bathroom penthouse with a 500 sq. ft. private roof top deck is truly a MUST SEE! Proactive strata, newer roof & boiler. Emily Carr Elementary & Eric Hamber Secondary Schools. 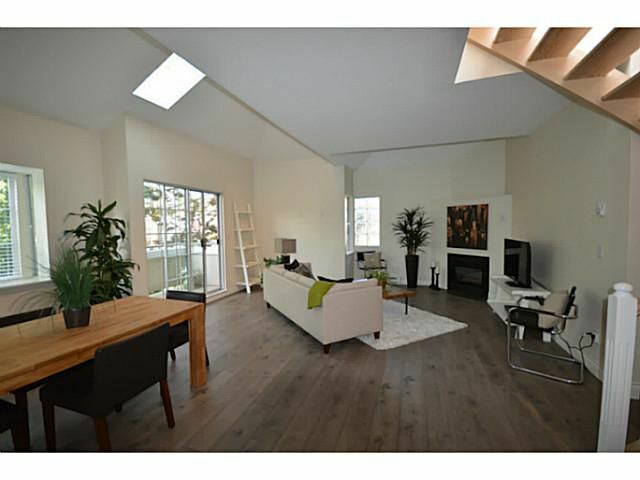 Excellent location, close to VGH, shopping, Canada Line & parks. Nothing to do but move in and enjoy! OPEN HOUSES: 1:00 - 4:00 pm Saturday & Sunday August 30 & 31.